There are many components that define a corporate image to help it stand apart from a corporate brand name. For example, in the past, many international travelers jokingly referred to the BA acronym of British Airways to mean Bloody Awful. This was a reflection of the negative corporate image they developed due to the onslaught of consumer complaints that surfaced with respect to the incompetent manner in which the airlines operated and treated their customers. This research provides a brief analysis on the topics of corporate images, their brand names, and the significant components that differentiate them. In addition, the study will disclose how they are related and provide further examples to help illustrate these concepts. The findings of this research will conclude that even though brands names are assigned to goods or services, there are many components that make them stand apart from a corporate image and that ultimately, the unification of these two components, serve to effectively communicate what the company represents to help shape the attitude of their shareholders. One of the most significant components of a corporate image is that it communicates the benefits of a company’s goods and services that appeal to consumer emotions. Ross (2010) explains that a corporate image should represent the following three components: (a) the company’s story, (b) their core purpose, and (c) the promises they make to consumers. In short, a corporate image reflects the organization’s reputation that will ultimately live on in the memories of consumers. To put it another way, a corporate image is what consumers say about a company, not about what a company says about themselves. In addition, a corporate image can help shape and influence the decisions consumers make and the actions they take (Ross, 2010). For instance, when many individuals think of a company like Denny’s, images immediately flood their head including tasty food, a welcoming atmosphere, and heartwarming family gatherings. These images reflect positive experiences with the restaurant chain. Positive emotions translate to feelings of joy and comfort which in turn produces loyal consumers. Successful companies like Denny’s, Honda, and Nike provide excellent illustrations of companies that have established strong corporate images. In fact, they have experienced unprecedented success because they all incorporate a mission as part of their corporate image. These identify what the company stands for and are usually revealed in the tag lines of their ads to support the company image or brand. Simply explained, a corporate image summarizes what the company stands for and the feelings they emote from their customers. In addition, Vincent (2012) purports that equally important to a company’s image or brand, is that they keep the promises they make and deliver a powerful experience (Vincent, 2012). For example, when people think of the Disney Company, many images and feelings are evoked depending on a person’s experience with the company or their family offshoots, like the Disney theme parks, or the many Disney movies that may have had a profound impact on them. This is yet another example of how a memorable experience with an organization can influence consumer emotions in both positive and negative ways. What an individual feels after their experience interacting with a company, whether happy, more confident, or embarrassment and defeat, are all components that help shape a company’s corporate image. Companies that display consistent behavior, communicate clear messages, and keep their promises, can guide investments and grow substantially regardless of budget constraints or time crunches whether they are a startup, a nonprofit, or a big conglomerate like a Nike or Disney. The negative feelings many people had about British Airlines, for instance, mentioned at the beginning of this research, presents another excellent case of the impact a tarnished corporate image can have on an organization as well as create new opportunities. For example, this situational challenge in the airline industry was the catalyst that motivated The Virgin Company’s entrepreneurial giant, Richard Branson, to take action. Out of frustration from his own travel experiences and banking on the stellar corporate image of the Virgin brand, Branson developed an offshoot company and launched Virgin Airlines. He was able to recognize a problem that existed that many airlines did not want to address at the time: quality service. Driven by fierce determination to tackle these issues, Virgin Airlines went on to become a huge success in the aviation industry. In the meantime, Hatch and Schultz (2008) explain that British Airways used the negative publicity as incentive to make changes and by the 1990s, BA’s conditions improved significantly. With the strategic help of marketing experts they were able to change those negative perceptions to reposition BA and turn their reputation around. One of the strategies incorporated to achieve this goal was the development of a new tagline that focused on positive concepts that professed the company had become “the world’s favorite airline.” Emphasizing the word favorite helped them devise a new corporate image and created a symbol that attracted consumers which helped put BA back in a dominant position in their industry (Hatch & Schultz, 2008). By developing a new strategy BA was effectively able to communicate a new attitude that won back trust from consumers. Many people are often confused by the term brand and the differences that constitute a brand and a brand name. While a corporate image or brand summarizes what a company stands for, the brand name, on the other hand, consists of the company name and the symbols that are incorporated to clearly communicate what an organization stands for. Baack and Clow (2012) explain that a company’s logo identifies brand names and embodies the symbols that distinguish the company, its products, and their services. A logo therefore, represents the emblem that adds an additional aspect to a corporation’s image that supports the organization’s name and mission (Baack & Clow, 2012). For example, because the mind processes images faster than it does words, logo identification occurs in the following two ways: (a) a memory recall or recognition of the logo and (b) an emotional recall of that individual’s experience with the company. Nike’s swoosh logo for instance, is merely the graphic representation of the company symbol that together with the brand name evokes various emotions, memories, and ideas. The design of the logo is a significant feature because in many cases, the company’s brand name will include a number of products under one family name. The Apple Corporation, for example, provides many quality electronic products for consumers, including computers, smartphones, music devices, and tablets. Their corporate brand name is one of the most recognizable symbols in the global marketplace because they continue to deliver innovative quality products and keep their promises. In fact, consumers are so passionate and loyal about their merchandise, they are sought after in an unparalleled fashion witnessed by the long lines at Apple outlets stores each time a new product is launched. In short, a company’s brand name represents the company’s image and is designed to support a positive reputation by keeping the promises they make to their shareholders. Virgin Airlines for instance, provided quality service but was supported and backed by the stellar reputation of the Virgin brand name. This is one of the most effective ways to launch a new product or company. An established giant like Virgin or Apple can provide many components to help a new offshoot achieve success. This is how brand names and corporate images support each other. 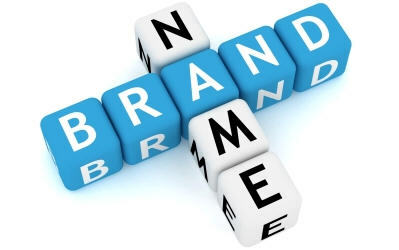 Brand names represent the symbols assigned to goods or services that in turn help shape and define a corporate image. Fombrun (1996) reminds us that the world has grown to worship greatness. People in modern society value aptitude, celebrate talent, exalt brilliance, and revere genius. Contemporary athletes, for instance, that compete in the Olympic Games are not paid a salary. For them, receiving a medal is a far more valuable asset due to one significant tenet: a reputation as a top performer. This provides the foundation that helps them develop an image they can use to build their brand name. The rise of mass marketing makes it possible to achieve greater levels of prestige and wealth whether as an athlete, politician, artist, or organization, because the competition for a stellar reputation is fierce. Many people in fact, wallow in the radiance of their heroes and often elevate them to near mythological status expecting perfection in return (Fombrun, 1996). A majority have the same expectations of the companies they support, the products they purchase, and often assign corporations similar iconic positions. Not only are people shaped and influenced by a company’s decisions and innovations, they are content to support these giants on their high altars of fame. The findings of this research conclude that there are many components that differentiate a corporate image from a corporate brand name. The keys to building an effective positive corporate image include a clear communication of: (a) the benefits a company’s goods and services they provide, (b) a mission that is part of their corporate message, and (c) keeping their promises. The combination of these components help effectively communicate what the company represents that helps shape the attitude of their shareholders which in turn motivates them to offer their loyalty and support. Fombrun, C. (1996). Reputation: Realizing value from the corporate image. Boston, MA: Harvard Business Review Press. Hatch, M., & Schultz, M. (2008). Taking brand initiative. San Francisco, CA: Jossey-Bass Publishing. Ross, M. (2010). Branding basics for small business: How to create an irresistible brand on any budget. Bedford, IN, USA: NorLightsPress.com. Great feedback! Thanks for sharing this Chris.